These Oat & Apple Muffins are so quick and easy. 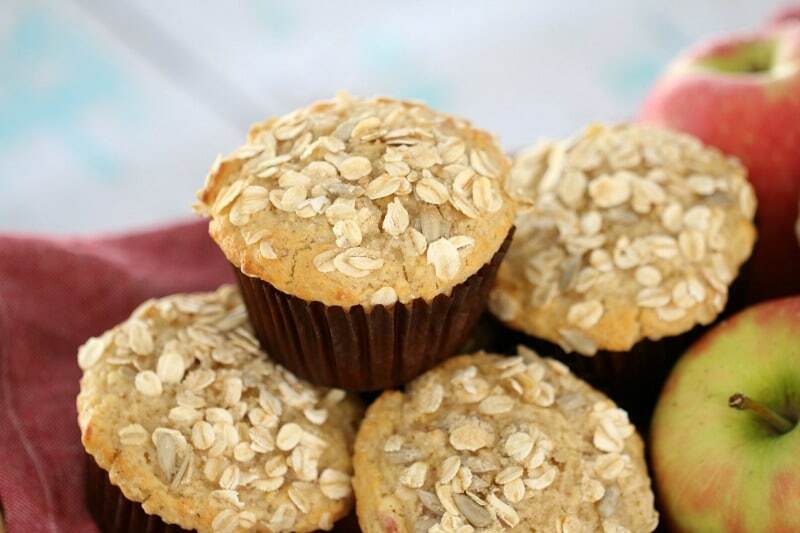 Just 10 minutes preparation and you’ll have a batch of the most deliciously moist muffins. Perfect for lunch boxes or an afternoon treat. Do you know what one of my pet hates in life is? Dry muffins. Yep, dry, eewy muffins. Hehe yes clearly I’m all about the big issues here. But seriously, there is nothing worse than a dry muffin. Well that’s my rant over for the day. I promise it’s all sunshine and butterflies from here on… because these muffins are the complete opposite of dry (thank goodness!). 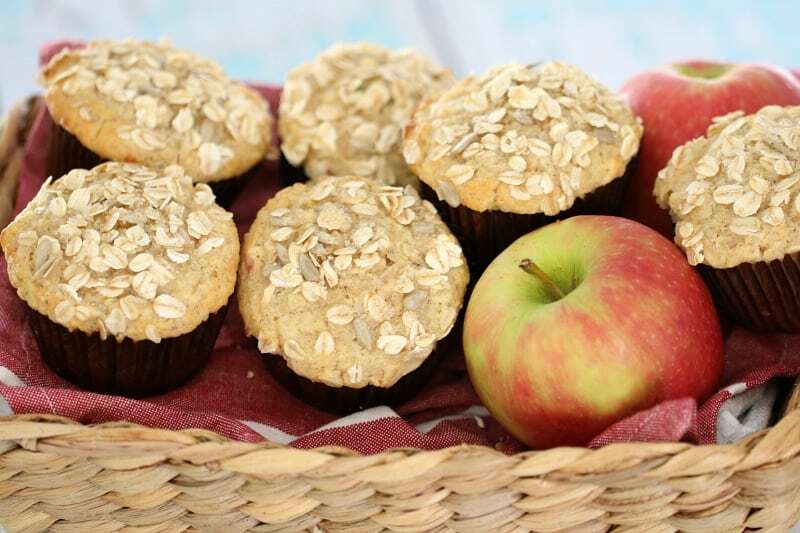 Yep, these Apple & Oat Muffins are based on my very favourite, go-to apple muffin recipe. Grated apple (along with buttermilk) is the key to making these babies so darn moist and yummy. 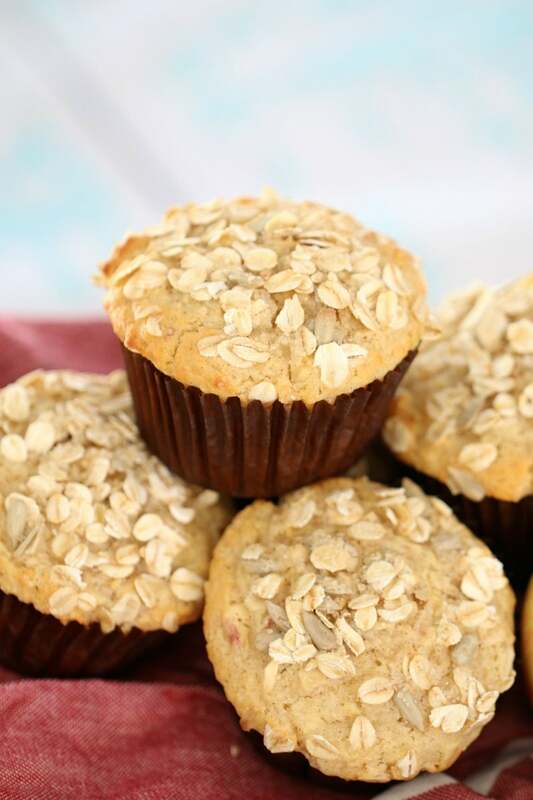 Sometimes I make these muffins with a bit of cinnamon and leave the oats off… but other times I like to add a sprinkle on top for added crunch (plus they totally make the muffins completely healthy… riiiiight!). 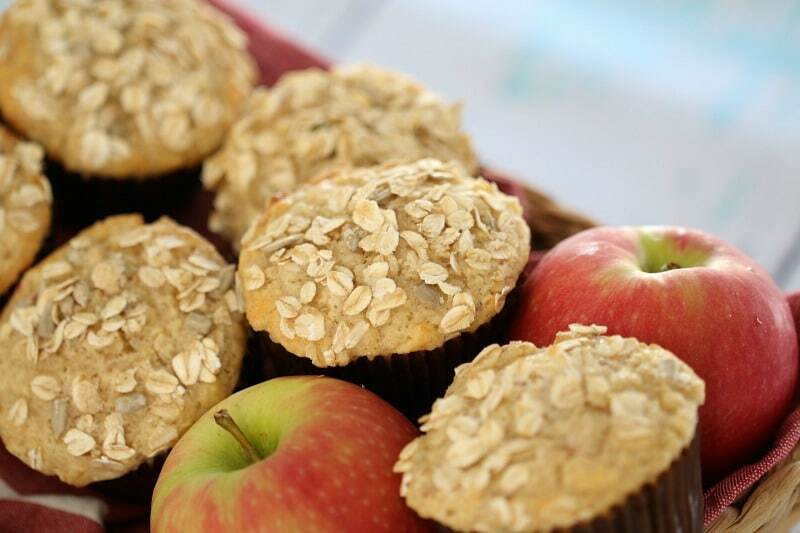 When I first started making apple muffins, I would always use my Mum’s Apple Crumble Muffin recipe. Holy bajeebez they are freaking amazing. Not healthy in the slightest, but amazing. 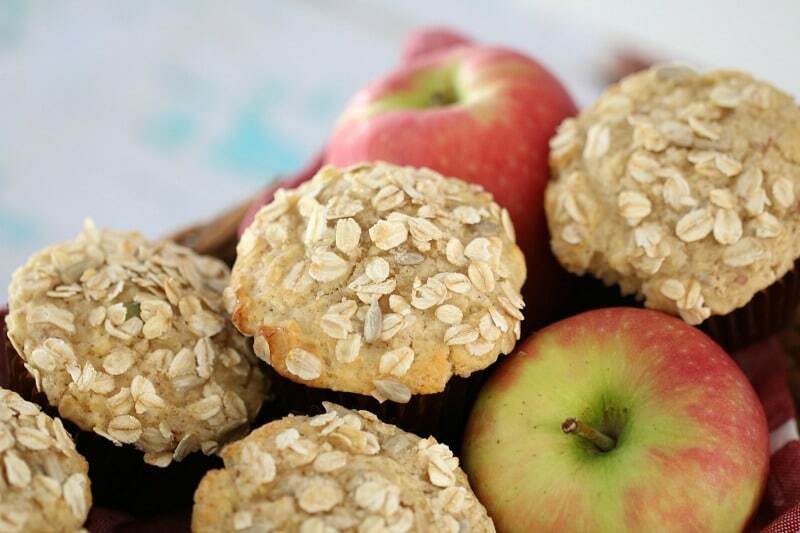 These Oat & Apple Muffins have the same delish flavour, but are way less guilt-inducing. I’m a big fan of fresh muffins. If I can, I’ll always make them on the day that I want to eat them. But, that’s definitely not always possible. Especially when crazy-busy life gets in the way (which it always does, right!?). And so, the next best thing is to freeze these muffins. Just wrap them individually in cling wrap and then pop them into an airtight container in the freezer. On the day that you want them, simply grab them out and give them a couple of hours to defrost (I like to pop them onto a plate and lay a tea towel over the top). Ooh and if you’re after a lunchbox filler for your little ones, these make a great option! 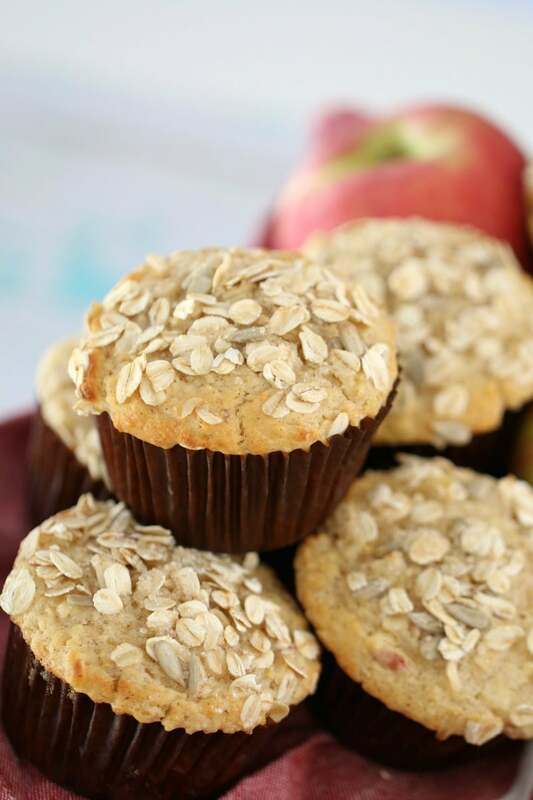 You can be pretty much guaranteed to have an empty lunchbox come home when these yummy muffins are involved. 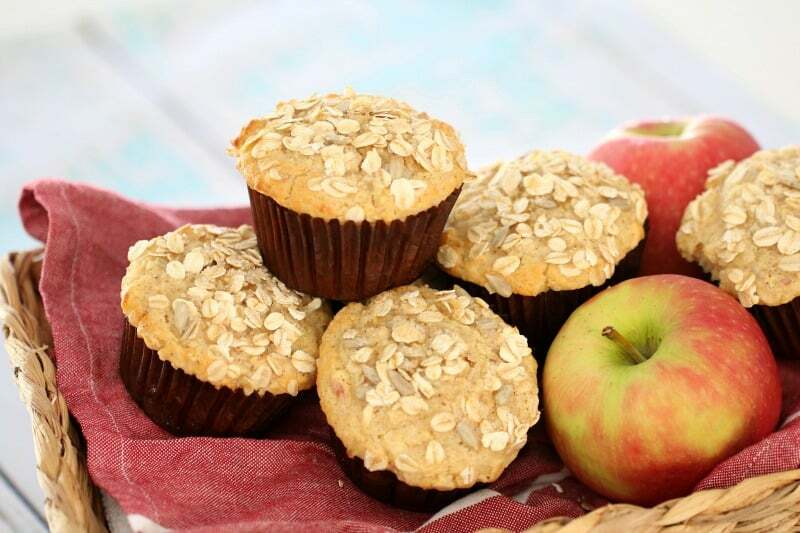 So whether it’s for a quick breakfast on the run, an afternoon treat, or a school snack, you really can’t beat these deliciously moist Oat & Apple Muffins. And there’s absolutely no dry muffins in sight. Woo hoo!!! 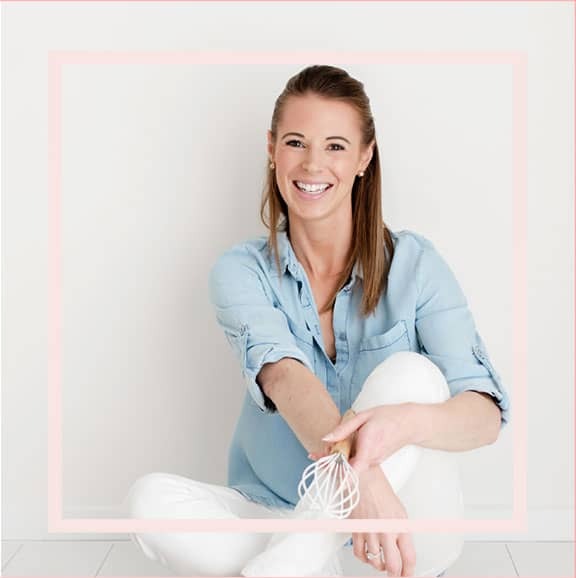 For more delicious lunch box recipes, check out my most popular collection of school friendly snacks!! 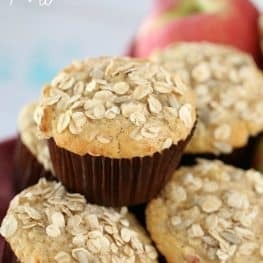 Oat & Apple Muffins - super moist! Sprinkle with the rolled oats and raw sugar. Hehe! Had to smile, as dry muffins are also my worst nightmare! 😉 These look good. Is buttermilk essential for this recipe? My 3yr old has a lactose intolerance so would need to use an alternative. These were sooo easy to make and we love them! 7 yo and 3 yo were very pleased with their afternoon tea and going in school lunchbox!